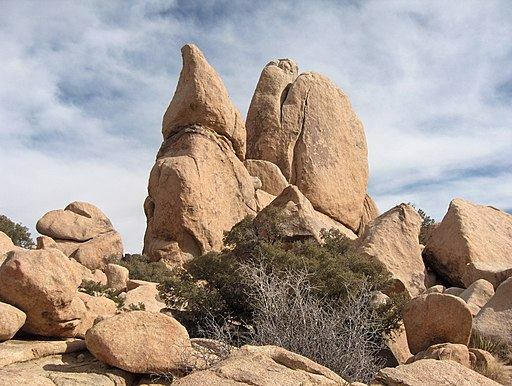 When it comes to rock climbing US locations, one location frequently comes up: the Joshua Tree park. This majestic paradise can be found two and a half hours away from eastern Los Angeles and consists of more than 792,510 acres of national park lands, which is framed by Palm Springs and the Joshua Tree town. The area got its name from the Joshua tree, which is not really a tree because it belongs to the agave family, but is nonetheless a plant that is very prevalent in the area. The plant received its name from the first Mormon trekkers who found its outstretched limbs to be similar to Joshua praying to the skies. The Joshua Tree park is larger than Rhode Island. You can spend an entire week literally hiking every trail and climbing every rock and you still won’t be able to see everything that the park has to offer. It’s perfect for people who don’t believe in the “less is more” tenet. The park is also a great destination for people who enjoy the arts and good food. One can sample the best music, artwork, and food simply by visiting the neighboring towns of Yucca Valley, Pioneertown, and Twentynine Palms. It’s a counterpoint to Palm Springs. Palm Springs is known for golf, country clubs, and tennis which are all enjoyable activities, but what happens if you don’t enjoy those or would want to take a break and do something else? You go to Joshua Park. This evokes less of the wealthy vacationeer that Palm Springs evokes, and instead goes for a more Old West feel that caters more to artists, dreamers, and rock climbing US citizens. Of course, the Joshua Tree Park’s natural beauty does not mean that it’s completely harmless. If you are novice climber, it would be wise to hire a rock climbing US guide from Uprising Adventure Guides. You will be paired with one of our friendly and experienced climbing guides, so that not only will you have an exceptional climber tagging along to teach you some important things, you also have great company. Contact us today for more information.